2015. Jerusalem. Israel. 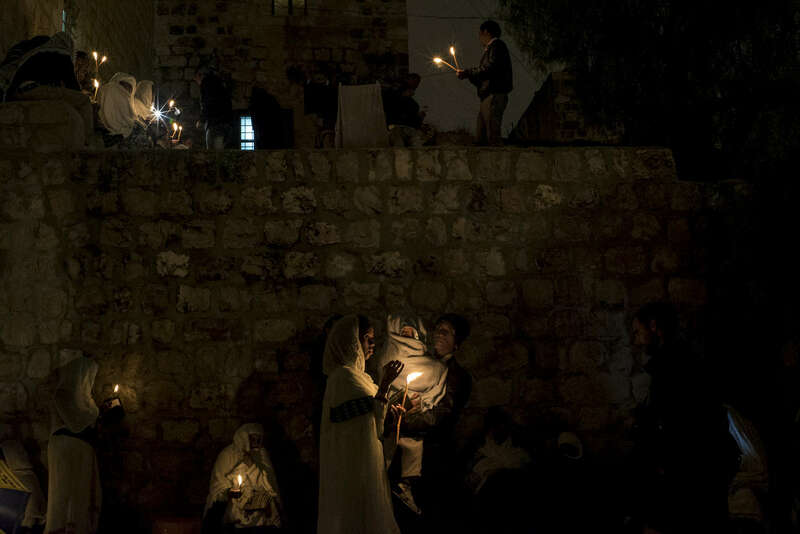 Ethiopian Orthodox celebrate Easter Holy Week atop the Church of the Holy Sepulchre.